History Education Hawaii has learned that the January 2011 edition of Common-Place has been released. Common-Place is published by the American Antiquarian Society in association with the University of Oklahoma. What did Civil War veterans expect in their war stories? What did the New England Journal of Medicine want from Ann Hutchinson? And why were early American viewers fascinated with slow art? For the answers to these questions, the next installment of Ithaca, and much, much more, point your browsers to Common-Place and enjoy! Rise and shine Hawaii college sophomores and juniors! History Education Hawaii, Inc., has learned that the Gilder Lehrman Institute of American History is extending a nationwide invitation to college sophomores and juniors with a passion for American history, and academic excellence in the field to apply for the Gilder Lehrman History Scholars Program in New York City. Hawaii college sophomores and juniors are strongly urged to apply. The application deadline is February 15, 2011. The notification deadline is March 16, 2011. • 10 Gilder Lehrman History Scholarships to a five-week research program from Sun., June 26 to Sat., July 30, 2011. • Up to 30 awards for One-Week Scholars to attend the Institute's program from Sat., June 18 to Sat., June 25, 2011. History Scholars conduct primary-source research, meet with eminent scholars in American history, and explore archives and museums. One-Week Scholars will attend lectures by leading historians, discussions with professionals about careers for history majors visit select New York City archives and museums. All applicants will automatically be considered for both programs. Go to this link and apply today. We ask Hawaii history faculty members to pass this information to their students. Good luck! “In an interval of little more than half a century it appears that this extraordinary people have increased above 500 per cent, in numbers; their national revenue has augmented nearly 700 per cent, while their public expenditure has increased a little more than 400 per cent. The prodigious extension of their commerce is indicated by an increased of nearly 500 per cent, in their imports and exports, and 600 percent in their shipping. The increased activity of their internal communications is expounded by their number of post offices, which has been increased more than a hundred fold, the extent of their post roads, which has been increased thirty-six fold, and the cost of their post offices, which has been augmented in a seventy-two fold ratio. “The augmentation of their machinery of public instruction is indicated by the extent of their public libraries, which have increased in a thirty-two fold ratio, and by the creation of school libraries, amounting to 2,000,000 volumes. 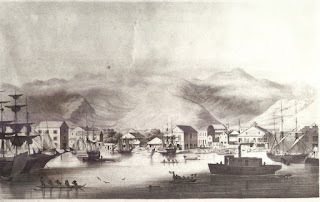 “They have completed a system of canal navigation, which, placed in a continuous line, would extend from London to Calcutta, and a system of railways which, continuously extended, would stretch from London to Van Diemen’s Land, and have provided locomotive machinery by which that distance would be traveled over in three weeks, at a cost of 1 1-2d per mile. They have created a system of inland navigation, the aggregate tonnage of which is probably not inferior in amount to the collective inland tonnage of all the other countries of the world, and they possess many hundreds of river steamers, which impart to the roads of water the marvelous celerity of roads of iron. “They have, in fine, constructed lines of electric telegraph which, laid continuously, would extend over a space longer by 3000 miles than the distance from the north to the south pole, and have provided apparatus of transmission by which a message of 300 words dispatched under such circumstances from the north pole might be delivered in writing at the south pole in one minute, and by which, consequently, an answer of equal length might be sent back to the north pole in an equal interval. History Education Hawaii is pleased to inform our readers of an upcoming NEH Landmarks in American History and Culture Workshop. Scheduled for this coming summer, the workshop focuses on Benjamin Franklin. A Rising People: Ben Franklin and the Americans will be held at Penn State Capitol College in Philadelphia June 26, 2011 - July 1, 2011, and July 10 - July 15, 2011. Applications are due by March 2, 2011. Click here for application instructions. The five-day workshop is open to K-12 educators across the United States. Hawaii history educators are urged to apply now. For details click this link. Please click this link for the workshop schedule. History Education Hawaii, Inc., has learned that JSTOR and Yale, Chicago, Princeton, Minnesota, and North Carolina University Presses have embarked on an initiative to publish scholarly books online as part of JSTOR’s services. “Being part of this collaboration will enable us to reach the scholarly community in needed ways and contribute to the building of a valuable environment for libraries and users. But just as exciting may be the opportunity to create a new ecosystem for publishing in the arts through the collaboration of many like-minded organizations, including the potential for overcoming difficult rights and technological issues in the future." Click here to read the full text of JSTOR's announcement. The web site StudentsFriend.com features a highly recommended and superbly detailed article with citations on the teaching history and geography. What to Teach: An Overview that presents information of chronological narratives, the use of conceptual frameworks and thinking strategies can be accessed at the hyperlinks. Hawaii schools got a C-plus in an annual report that grades the quality of the nation's public education systems, coming in slightly higher than the national average but lower than 19 other states. Hawaii improved a bit from last year, when the state got a C.
The rankings are included in Education Week's annual "Quality Counts" report, released yesterday, which looks at school standards, student achievement, the finances of school districts and other factors to determine the strength of a state's education system. Click here for the full-text of the Star Advertiser article. Go to this link and download the Quality Counts Report (PDF format). 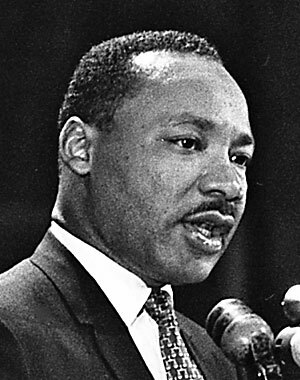 Monday, January 17, 2011 is Martin Luther King, Jr., Day across the United States. It is a federal holiday with federal, state government and schools closed. “He captured and awed them with an hour-long richly vivid speech that was at once polemic, a sermon, a prophecy and an affirmation of faith in man’s essential decency. “He said little that was new…but Dr. king gave the words a renewed meaning, holding his audience virtually hypnotized with his mighty, organ-like voice. The sentences marched in magic cadence, laden with Biblical imagery and Shakespearean quotation. “It was a speech of compelling power and few could have come away failing to understand why Time magazine put Dr. King on its cover as Man of the Year. In the April 5, 1968 edition of the Honolulu Advertiser features reaction to Rev. Dr. King’s assassination we take this occasion to share. “The news of your husband’s death has rocked the nation as well as the world. It has come as a great personal shock to my family and me, because we shall never forget the kind of constructive and warm advice that has given me concerning keeping the movement for the freedom of all people non-violent. “The grief that hangs over our nation is indescribable, but there is hope that this great struggle will now come to greater focus in a nation where bigotry has been allowed to survive all too long. The King Center. Click here. A-Z Teacher Stuff. Click here. The Teacher’s Corner. Click here. Read Write Think: International Reading Association. Click here. The Martin Luther King, Jr., Research and Education Institute of Stanford University. Click here. U.S. History Site. Click here. The National Archives. Click here. The Asia Society. Click here. Hawaii History Day is a program of the Hawaii Council for the Humanities. Online registration opened on January 3, 2011. Registration closes at midnight HST on Monday, January 31, 2011. Essay and web site entries are due on or before the same date. "Hawai'i History Day -an affiliate of National History Day (NHD)- is a year-long history education program that invigorates the teaching and learning of history in grades 4-12. It promotes a theme-based, research-centered model for history and civics education. Students present their projects in a display, performance, documentary, essay or web site project. History Day culminates in the presentation and evaluation of these projects at school, district, state and national history days. "Public, Private, Charter, Hawaiian Immersion and Home School students in grades 4-12 are eligible to participate in the Hawai'i State DOE District in which their school is located. Please note: For Hawaii entrants, group projects are limited to 1-3 students." All professional development must improve practice, curriculum, and student achievement. “One-shot” professional growth experiences, such as attending a national conference or engaging a professional speaker, are discouraged. Decisions regarding the content of the professional growth activities must be based upon an assessment of student work undertaken with colleagues, and must be integrated into the institutional planning process. Grant funds may be used for fees, travel expenses, books, or other materials that enable applicants to learn subject matter, instructional approaches, and skills. Recipients are expected to exercise professional leadership by sharing their new learning with their colleagues. Amount: The grant amount is $2,000 for individuals and $5,000 for groups engaged in collegial study. Deadlines and notification dates for applications are as follows: February 1 (notification: April 15, 2011); June 1 (notification: September 15, 2011); October 15 (notification: January 15, 2012). Go to this link for application instructions. Go to this link to apply online today. Good Monday Morning from History Education Hawaii! The following poem, Metrical Grammar, was published in the May 25, 1850 edition of The Polynesian, a Honolulu-based newspaper. For our history and writing teachers we hope this brings a smile. Of course, please feel free to share this with your students. Best wishes for a great week ahead! As great, small, pretty, white, brown. As men and children, wind or weather. A Noun-as in or through a door. The next prize will be awarded to an individual. To be eligible, the candidate must be a K-12 teacher. The individual can be recognized either for individual excellence in teaching or for an innovative initiative applicable to the entire field. Each letter of nomination must include the name and address and email address of the nominee and a statement indicating the basis for the nomination. Once the letter of nomination is received, each individual so nominated will be contacted and asked to submit the following electronically or by mail: a vita and an essay of no more than five pages in length describing the contribution or the product, discussing the achievement or innovation in approach and development, and summarizing the historical scholarship utilized. Up to ten pages of appropriate supporting materials can be included (e.g., letters of support and course materials, excerpts from a text book, or other evidence of contribution). The prize carries a cash award plus travel expenses to the AHA annual meeting in January 2012 at which it is awarded. The deadline for the letter of nomination is March 15, 2011. History Education Hawaii sends its congratulations to Will Fitzhugh, publisher of The Concord Review. Today's edition features a story from the New York Times about Mr. Fitzhugh. Click this link to read Former teacher showcases the dying art of the research paper. 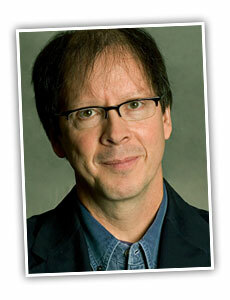 Ric Burns is recognized as one of the leading figure in American historical film making. The National Council for History Education (NCHE) has announced that Ric Burns will be speaking on April 1 at the 2011 annual conference. His topic is 'On History and Filmmaking.' Special evening showings of his films will be featured each evening. Go to this link at Steeplechase Films to learn more about his work. Register today for the 2011 Conference by clicking this link. "BUDGET, curriculum, class size—none has a greater effect on a student than his or her teacher. Given this, politicians might be expected to do all in their power to ensure that America’s teachers are good ones. For decades, they have done the opposite. The trouble begins long before a teacher enters the classroom. In Singapore, which recently came second in an international ranking of 15-year-olds’ skill in maths (America was 31st), the teacher-training programme accepts only students in the top 30% of their academic cohort. In America, most teachers were mediocre students. Only 23% of new teachers were in the top third of college graduates." 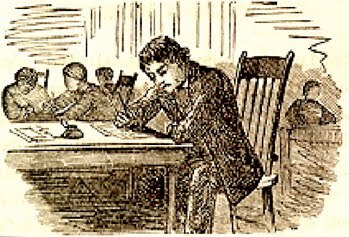 Crafting Freedom: Black Artisans, Entrepreneurs and Abolitionists of the Antebellum Upper South” simply known as the “Crafting Freedom Workshop is an NEH Landmarks of American History and Culture Workshop for K-12 educators. It is funded by a generous grant from the National Endowment for the Humanities (NEH) and offered for the eleventh and twelfth times in the summer of 2011. Hawaii educators are encouraged to apply. The workshop engages educator participants, also known as “NEH Summer Scholars,” in intensive study using the power of place to motivate exploration of the lives and works of several significant antebellum African Americans. These “freedom crafters” created opportunities and achieved greater freedom for themselves and others through their actions and ingenuity, through their works of art and craft, and through their spoken and written words. The Crafting Freedom Workshop has reached 400+ educators from 38 states over several summers. It has consistently been rated “excellent” with many deeming it one of the best professional development experiences of their careers. Click here to see a video about Crafting Freedom created a few years ago for a a national press conference kicking off NEH Landmarks of History and Culture Workshops. Two Sessions of the workshop, each serving 40 participants, will be offered in the summer: Session I: June 16 – 21, 2011 and Session II: June 23–28, 2011. For detailed information on how to apply, see application guidelines. Teacher Talk is a blog featuring commentary on education issues in Fairfield County, Connecticut. The blog is facilitated by Charles Costello. "In a scathing op-ed, and a crushing blow to those who believe standardized tests are the be-all and end-all, a top Chinese educator says the United States does a far better job educating its students than China. Jiang Xueqin says Chinese students lack social skills, creativity, and lose their passion for learning (to name just a few of the problems) because the country has put such a high priority on standardized tests. On the other hand, he says that America is the leader in public education, with a curriculum that promotes critical thinking, innovative thought, and the acquisition of knowledge (to name just a few of its strengths)." Go to this link to read the entire blog entry. Jiang Xueqin, the deputy principal of Peking University High School, and director of its International Division wrote a piece for The Wall Street Journal. Click this link to read it. Today's Honolulu Star Advertiser features a story about an on-going issue in Island public schools: instructional time. Public schools in Hawaii will have a hard time complying with a new state law requiring more instructional time next school year, Superintendent Kathryn Matayoshi said. The law, passed following the state's embarrassment of having the nation's shortest school year because of budget cuts, was meant to guarantee that Hawaii schools would have at least 180 instructional days annually with 5.5 hours of daily class time in high schools and 5 hours, 5 minutes in elementary schools. Hawaii students now attend class for an average of 4 hours and 43 minutes per day, short of standards in most other school districts nationwide. Matayoshi said the teachers' labor union is arguing that adding instructional time will lengthen their work day -- contractually set at 7 hours -- and require higher pay. "We're between a rock and a hard place, between a statute and a collective bargaining agreement, so we have to find a solution," Matayoshi said. "It would be a scramble for schools, but they'd make the effort for the kids to make the schedule work." Read the full story and reader comments at this link. As we say in the Hawaiian Islands, "Happy Aloha Friday!" This morning's mail brought a recommended online-based humanities resource site from Lauren Jackson of PNW Librarians. "The Internet is teeming with scholarly information about the humanities but we're bringing the best to you in this easy directory. From traditional layouts to the more experimental sites, we’ve collected the top 36 resources and guides. From fine arts to political science, follow these excellent resources and their links to a fantastic array of information." "I know this article would be a great addition to your information," Lauren writes, "and I'm sure that it could help many of your users. Let me know what you think!" A big mahalo nui loa, Lauren! We're convinced educators in Hawaii and everywhere will agree! 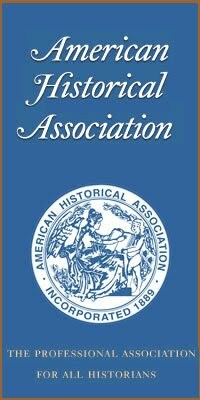 Articles by American Historical Association (AHA) members, published in the United States in a two-year period ending on May 31 of an odd year, are eligible to be considered for this biennial award. For the 2011 award, articles by AHA members published between June 1, 2009 and May 31, 2011, may be nominated for consideration. Journals and individual members may submit nominations on the teaching of history (including scholarship of teaching and learning, methodology and theory of pedagogy) for each biennial cycle of this award. Journals, magazines, and other serials can submit up to two articles for each award cycle. Each nominator is required to provide a brief letter of support (no more than two pages) with the article. One copy of each letter of support and article must be sent for each member of the Committee on Teaching Prizes. Entries must be postmarked by July 15, 2011. Entries will not be returned. No faxes will be accepted. K-12 history, social studies and English teachers are invited to apply to the Gilder Lehrman Institute of American History 2011 Summer Seminars. Taught by renowned historians on college campuses in the US and the UK, these one-week seminars give educators the opportunity to deepen their knowledge of topics in American history—while gaining practical resources and strategies to take back to their classrooms. The deadline is February 1, 2011. Hawaii educators are strongly urged to apply. Go to this link to apply today. As 21st century Hawaii is a popular destination for international students we thought the following story would interest our readers. “One of them finished the regular course, and the other two graduated in the scientific department. They have been here six years, and two of them for a time among the number who were supported by the Japanese Government; but when that government called its young men home from America, withdrawing all support, they remained at their own expense. These came from noble families, one having been an army officer with 20 servants in his house. “When they came here they went into families as servants, and remained so a part of the time, partly to be more economical in the expense of obtaining an English education, and partly to more thoroughly learn American manners and customs. Historic Deerfield invites applications from undergraduate sttudents in their Junior and Senior years for the Summer Fellowship Program. Students from Hawaii are urged to apply. Based in Historic Deerfield’s eleven museum buildings, state-of-the-art exhibition and storage facility and library, all within the village of Old Deerfield, New England’s best documented town, this all expenses-paid, intensive nine-week living-learning program offers a rare behind the scenes view of the workings of a museum, and a thorough investigation of early New England history and material life. Before applying, please be sure to download and read the complete description of the 2011 Summer Fellowship Program (June 13-August 14, 2011). The deadline for filing applications is February 25, 2011. Two letters of recommendation from college faculty members. Personal statement discussing why you want to come to the Deerfield program, and how your academic experiences and other interests have prepared you for this program. Financial aid award authorization form if applying for a stipend to offset lost summer income. For further information, please contact Joshua Lane, Curator of Furniture and Curator of Academic Programs, at (413) 775-7209, or at this e-mail address. The National Gallery of Art’s Department of Teacher, School and Family Programs invites teachers of kindergarten through grade twelve to apply for a six-day seminar this coming summer. Hawaii educators are strongly encouraged to apply. The application deadline is March 15, 2011. 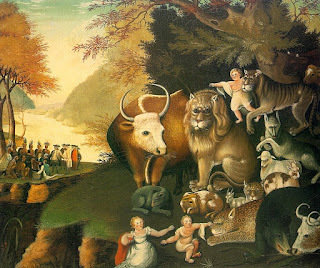 The 2011 Teacher Institute explores American art of the eighteenth and nineteenth centuries. Individual sessions will integrate art, social history, language arts, and learning theory through examination of the collections of the National Gallery in Washington, D.C.
For more information and an online application please click this link. In the days when Hawaii was governed as a monarchy the kingdom published its own official newspaper. 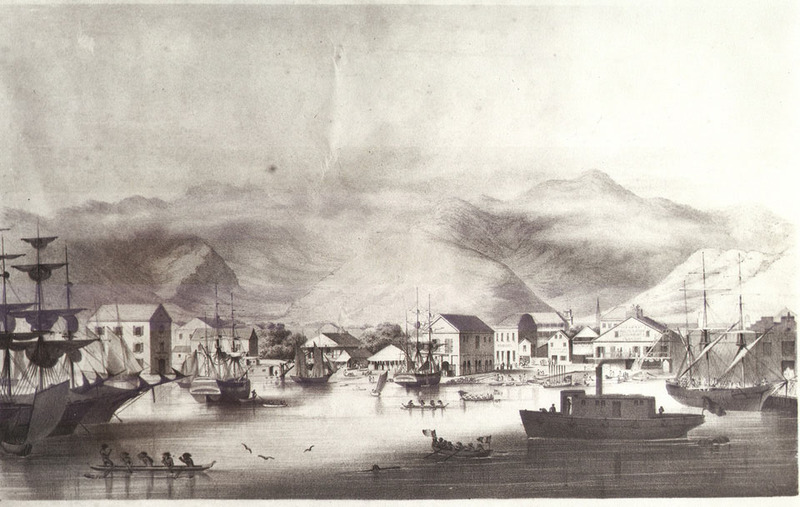 The Polynesian was first published in 1841 followed by a twenty-year run spanning 1844-1864. Hawaii has a rich history of public and religious schools chronicled in The Polynesian and other newspapers. For the edification of our readers we will be producing from time to time excerpts of news articles pertaining to Hawaii’s evolving educational system. Russell Motter, chair of the History Department at Iolani School, has informed History Education Hawaii that a public talk by Isabel Wilkerson, Pulitzer Prize winning journalist and author of the highly acclaimed book on the Great Migration, The Warmth of Other Suns, is scheduled for this coming Friday, January 7, at Iolani School’s Seto Hall. This free event is open to the public and scheduled to begin at 7:00 p.m. A book-signing will follow. Hawaii history educators, history students and historians are encouraged to attend and meet Ms. Wilkerson. It was one of the most important population shifts of the 20th century — an exodus of nearly six million black Americans from the South to the cities of the Northeast, Midwest and West — yet few people have substantively studied the effects of what is now known as the Great Migration. 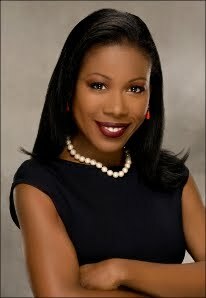 Enter Isabel Wilkerson, who as the New York Times Chicago Bureau Chief in 1994 became the first black woman to win a Pulitzer Prize in journalism. Her debut book, The Warmth of Other Suns: The Epic Story of America’s Great Migration, puts a human face on that experience.